Whenever Penangites think about Bak Kut Teh, it will always be the soup based type where they will choose whatever parts of the pork which interest them most. 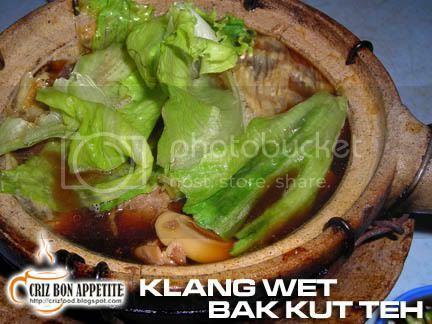 Recently, I was invited by a friend in Klang to try out one of the best Bak Kut Teh there. To my surprise, the Bak Kut Teh came in two types – the dry and the soup based. The soup based Bak Kut Teh was like those served in Penang except that the pork inside were meaty choice pieces. But the dry one made me want to go back there again to eat more. The meats, mostly belly parts were cooked in herbal soup and then cut into smaller pieces. The meat were then fried in some yummy dark sauce, cuttlefish strips, sliced lady’s fingers, dried chillies and some mushrooms and brought to boil in a claypot to maintain its hotness. You should try out this yummy dry version. The two claypots of Bak Kut Teh cost 3 of us only RM23 with 5 bowls of rice. 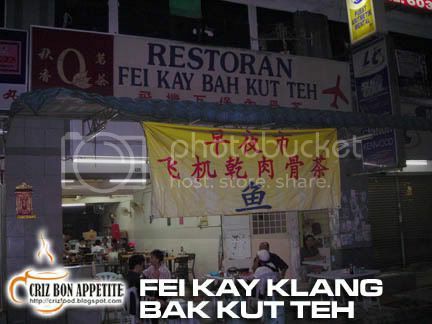 Here are the photos on how the Bak Kut Teh looked like. 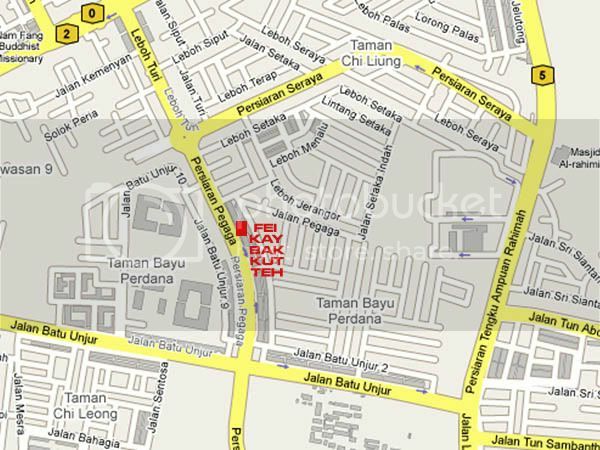 The restaurant is within the Taman Bayu Perdana area along the main road of Persiaran Pegaga. You would not miss the place as it has an airplane logo on the sign board. If you are not sure, just ask around as most of the Klang people would know the location of this shop. Taman Bayu Perdana, 41200 Klang, Selangor, Malaysia. The dried version does sound interesting…I wonder how it taste like?? There is one at Sungai Ara, at Yoyo Cafe. but of course… here… never able to beat the taste of BKT at Klang area…..
Had tried this dried version before at Klang too (forget the name of the shop).. 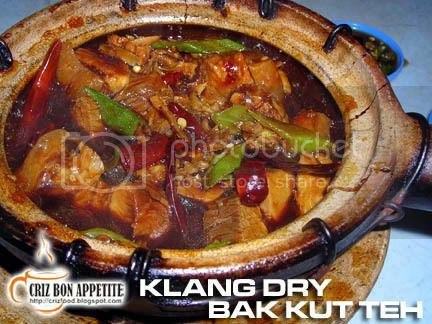 The taste of the dry Bak Kut Teh is really unique and special. Even though many stalls selling Bak Kut Teh can be seen in klang this is definitely without a doubt one of the best I have tried ! !